WORKSHOP SERIES OVERVIEW: Symbolic expression and experience are essential aspects of psychological development. Art-based interventions provide access to the symbolic dimension of life as well as a means for a connection to the psychological dimension of individual experience, which is often beyond the reach of contemporary therapeutic formulations. Join us for a hands-on approach to learning art-based interventions, which may be used within personal and professional therapeutic contexts. The media and applications presented in these workshops have been selected for their relative ease of facilitation, usefulness in promoting and revealing psychological processes in a range of populations, including: The chronically ill, hospice patients and the bereaved, trauma survivors and those with mood, substance, eating, somatoform, and personality disorders. Each media and its many possible directives contain, meditate and express constructs, which may be utilized with individuals and groups ranging in age from children to adults. Historical origins of the art form, discussion of its clinical application and case examples will provide opportunities to tailor these techniques to fit personal orientations and style. Teaching methods: Didactic, interactive, and lots of experiential opportunities. Paper is made up of millions of random fibers, which after a process of mixing are pulled from a bath to reveal their strength and beauty in a unified state. Using paper, with these inherent properties, as a drawing and layering material, offers additional structuring devices for those who may be timid, anxious, and/or have physical and cognitive challenges. Utilizing cut and ripped paper can assist trauma survivors by providing ample opportunities for a reparative, rebuilding processes. Discussion and exploration of collage, decoupage, and the use of digital technology options, such as media transfers will be explored. Interventions may be applied to short and long-term treatment venues and are especially applicable to those with relational issues, perfectionist tendencies, and/or tactile sensitivities. 1. Name at least 3 therapeutic applications for working with cut paper. 2. Identify how the layered paper artwork provides mirroring to psychological constructs in an honoring way. 3. Identify at least 5 advantages of using the various paper works of art in treatment with couples and families. Creative Arts Therapists, Marriage and Family Therapists, Licensed Clinical Social Workers, Licensed Professional Counselors, Psychologists, Psychiatrists, Counselors, Therapists, and other professional mental health clinicians. 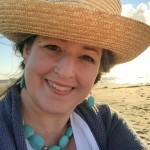 Michelle L. Dean, MA, ATR-BC, LPC, CGP is an art psychotherapist who co- founded of The Center for Psyche & the Arts, LLC (http://psychearts.org) with two locations in the Philadelphia area. In addition to her clinical practice, she is an author, supervisor, educator, and consultant. She has been an Adjunct Professor at Arcadia University since 1997 and has several publications her credit, including the children’s book, Taking Weight Issues to School and the professional text Using Art Media in Psychotherapy: Bringing the power of creativity to practice. Her work has been recognized through many distinguished awards, including the prestigious Honorary Life Member Award from Delaware Valley Art Therapy Association and the American Art Therapy Association’s Pearlie Roberson Award. The Center for Psyche & the Arts, LLC been approved by NBCC as an Approved Continuing Education Provider, ACEP No. 6302. Program that do not qualify for NBCC credit are clearly identified. The Center for Psyche & the Arts, LLC is solely responsible for all aspects of the programs. Six (6) Continuing Education clock hours are available for this workshop. Partial credits are not available. Please note that only current members of The Center for Psyche & the Arts, LLC are eligible for the member’s rate. If you wish to become a member at this time in order take advantage of this and other discounts, kindly visit our membership page in order to add your desired level of membership to your cart. Thank you for your understanding and attention. Regular Registration for Members: $150, Non-Members: $175. You must be a current member of The Center for Psyche & the Arts, LLC to receive this price. Consider becoming a member to receive additional discounts. A recorded version will be available shortly after the program for repeat viewing and distance-learning options. Register before Nov. 5th for best pricing for both live and distance-learning options. For additional information, please kindly visit our Registration Information and Locations and Accommodation pages. 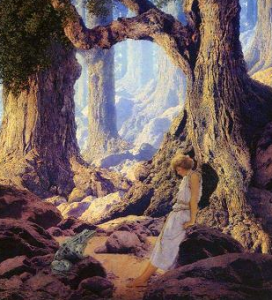 Join us as we lead a discussion about a specific fairy tale, myth, or work of literature in order to examine and comprehend the plight of ourselves and others. These narratives offer us a unique means of cultivating the ability to understand the interplay of symbolic elements within a given context. As such they are ideal objects of contemplation for the process of developing the awareness necessary to be truly engaged in psychological work. Lectures in this series provide insights into global stories and cultural context as well as the influence of nature, alchemy, and the sacred. These enduring and archetypal stories may be used as a powerful device in framing and making sense of modern day maladies and concerns. Join us for one, or several, online interactive webinars exploring the wisdom of story through a depth psychological framework. When you register for the webinar you will receive a link to view the previously recorded lecture as well as handouts, copies of the slides and evaluations. Included in this registration letter will be a link or adapted version of the fairytale, myth, or work of literature that we will be discussing. Pre-reading is encouraged but not required. In this presentation of a fairy tale, The Frog King, or Iron Heinrich from the Brothers Grimm, (commonly, known as the Frog Prince) we explore the nature of the living dynamic within a specific narrative with an eye for developing the ability to track relationships between the diverse elements that make up the clinical encounter. Rather than focus upon a specific category of clinical conditions, (e.g. depression, anxiety, addiction) emphasis is placed upon developing the awareness of the clinician so as to enhance the ability to perceive the dynamic flow of psychologically relevant material as it appears in the very moment of the clinical encounter. In so doing, the clinician is able to work within a context that honors the existing intrinsic values and beliefs of both the patient and the therapist without needing to reduce either, to the needs imposed by a systemic approach. Presented by Mark Dean, MFA, MA, ATR-BC, LPC is a Jungian Analytic Training Candidate with over 20 years of clinical experience as an art psychotherapist and licensed professional counselor and educator. Mark has worked in a range of clinical mental health settings. As a professional artist, he has earned the National Endowment on the Arts Award as well as two Pennsylvania Council on the Arts Awards in Painting. He is a co-founder of The Center for Psyche & the Arts, an organization devoted to the study and application of the uses of art, imagery, and creative process in clinical work. Identify three (3) major differences between “Image” constructs and “Rational” constructs and articulate the value and limitations of each for psychological work. Identify three (3) different relational aspects between image and forms. Articulate two (2) ways to utilize the skills developed in the presentation to enhance their direct clinical work. One (1.5) Continuing Education clock hours are available for this webinar. Requests for paper certificates to be sent by USPS mail may be made by contacting, us directly at contact@psychearts.org, the fee for each mailed certificate is $10.00 USD. Additional postage fees for international shipments apply. Partial credits are not offered at this time. For additional information, please be sure to visit our Registration Information and Locations and Accommodation pages. For a limited time, you may view the recording of THE FROG KING: SEEING IMAGE DYNAMICS IN CLINICAL WORK – WEBINAR. If you like this program and would like to support our organization please consider becoming a member or donating. If you would like to earn continuing education credits for viewing the program, please use the link to register below. After registering, you will receive a confirmation via a downloadable file, printable handout for the course, which includes the description, objectives as well as all of the text for the presentation slides and pre- and post-evaluations. These items are only available upon purchase. Thank you for supporting our efforts and hope you find this information valuable. Lectures in this series provide insights into global stories and cultural context as well as the influence of nature, alchemy, and the sacred. These enduring and archetypal stories may be used as a powerful device in framing and making sense of modern day maladies and concerns. Join us for one, or several, online, interactive webinars exploring the wisdom of story through a depth psychological framework. When you register for the webinar you will immediately receive your call in information as a downloadable letter of confirmation. Due to the many versions of some of these stories, included in the letter will be a link or adapted version of the fairytale, myth, or work of literature that we will be referencing. Myths and fairytales are culturally bound and change over time and within different contexts. The presenter does not claim that the version provided is the authoritative version instead, usually an older one that has been historically researched and holds significance and relevance that will aid in illuminating our discussions. Pre-reading is encouraged but not required. “What you seek is nowhere; but turn yourself away, and the object of your love will be no more. That which you behold is but the shadow of a reflected form and has no substance of its own. With you it comes, with you it go stays, and it will go with you …” (Ovid, Metamorphoses 3.433). Using the myth of Echo and Narcissus, we examine the complexities of relationship and some of the many dichotomies created within ourselves and our unions. Special attention is given to the loss, or underdevelopment, of Self and the ability to relate to Other when thwarted by developmental and/or psychological trauma. Discussion includes the archetypal psychological functions of this myth, and a case example, in which a couple struggled to see and hear one another in an affirming way. The case presentation includes client artwork and responses that illuminate the dynamics within the couple and their transformation. 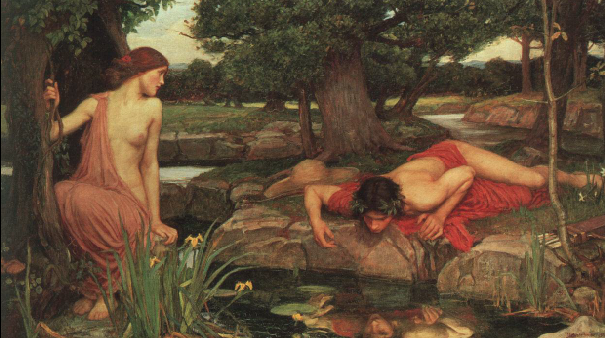 Attention is given to cultural and familial roles and the art psychotherapy process, which reflect personal narrative and common themes inherent in the Echo and Narcissus legend. Instructor: Michelle L. Dean, MA, ATR-BC, LPC, CGP has 20 years expertise in treating individuals who struggle with addictions, eating disorders, relationship issues, and traumatic experiences. In addition to her clinical practice, she is an author, supervisor, educator, and consultant. She has been an Adjunct Professor at Arcadia University since 1997 and has several publications her credit, including the children’s book, Taking Weight Issues to School. Her work has been recognized through many distinguished awards, including the prestigious Honorary Life Member Award from DVATA. Identify to two (2) ways of relating in the myth of Echo and Narcissus and its significance in psychological functioning for the development of Self and Other relatedness. Identify at least one (1) example of the interconnectedness of relatedness (i.e., early childhood trauma, alexithymia, etc.) in the myth relate to psychological functioning. Identify at least one (1) example of how the natural process of inner development and relatedness may be thwarted by developmental and/or psychological trauma. Identify one (1) aspect of how the development of myth (i.e., story arc and the archetypal hero’s journey) relates to a change in psychological understanding and how it may be utilized in clinical practice and may increase creative flow in clients. Certificates of attendance will be generated for all participants after the lecture and may take 24 – 48 to receive by email. Requests for paper certificates to be sent by USPS, may be made by contacting, us directly at: contact@psychearts.org, the fee for each mailed certificate is $10.00 USD. Additional postage fees for international shipments apply. Partial credits are not offered at this time. For additional information, please visit our Registration Information page. After registering, you will receive a confirmation via a downloadable file, notes, and a link to the previously recorded program will be provided once purchased, which is hosted by GoToWebinar®. You will need to have internet access and in some cases download the free application to your device for easy viewing. Also attached will be a downloadable file which contains a printable handout for the course. It includes the description, objectives as well as all of the text for the presentation slides and pre- and post-evaluations. It is only available upon purchase. Be sure to arrive at GoToWebinar® site a few minutes before the start of the course in order to successfully sign in on time. If you have difficulty signing in, please email: contact@psychearts.org. When you register for the webinar you will receive your call in information as well as a letter of confirmation. Included in this registration letter will be a link or adapted version of the fairytale, myth, or work of literature that we will be discussing. Pre-reading is encouraged but not required. This program examines the cycles of womanhood as well as the thwarting of such passage through traumatic experiences. Presented by: Michelle L. Dean, MA, ATR-BC, LPC, CGP has 20 years expertise in treating individuals who struggle with addictions, eating disorders, relationship issues, and traumatic experiences. In addition to her clinical practice, she is an author, supervisor, educator, and consultant. She has been an Adjunct Professor at Arcadia University since 1997 and has several publications her credit, including the children’s book, Taking Weight Issues to School. Her work has been recognized through many distinguished awards, including the prestigious Honorary Life Member Award from DVATA. Identify to four perspectives of myths related to the story of Persephone and psychological functioning. Identify one example of how the relations between two motifs (i.e., rhythmic order, relationship to anima/animus, upper and lower world of Self) in the myth relate to psychological functioning. Identify at least one (1) example of how the natural process of individuation and inner development may be thwarted by current cultural ideals and/or psychological trauma in clients. Name one aspect of how the development of the story (e.g., story arc, mother-daughter relationship, descending and ascending) relates to a change in psychological attitude and may assist clients in shifting their perspective of their life journey. Certificates of attendance will be generated for all participants after the lecture and may take 24 – 48 to receive by email. Requests for paper certificates to be sent by USPS mail, may be made by contacting, us directly at: contact@psychearts.org, the fee for each mailed certificate is $10.00 USD. Additional postage fees for international shipments apply. Partial credits are not offered at this time. For additional information, please be sure to visit our Registration Information page. Be sure to arrive at GoToWebinar® site a few minutes before the start of the course in order to successfully sign in on time. If you have difficulty signing in, please email contact@psychearts.org. Powerful writing captures images by transporting the reader into a scene or experience, while gripping illustrations convey thousands of words. Join us and create your own words and pictures. This six-week workshop explores the intersection of imagery through verbal and visual expression by placing visual thinking at its core. Exploration of visual journals, illustrated texts, narrated photo- and video-documentaries, and blogs and the artists/authors who created them will serve as a springboard for students’ own creative writings, such as fiction, creative non-fiction, and poetry coupled with the use of graphic expression such as drawing, painting, sculpture, photography or video. 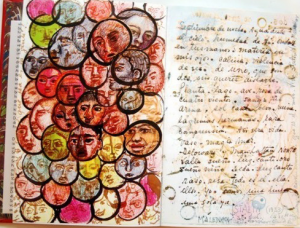 Students will deepen their ability to engage in multiple modes of expression by utilizing images to inform their writing as well as words to inform their art. Each week, a brief lecture will be presented followed by time to write and create art. Students will have the opportunity to share their work and receive feedback from their like-minded cohorts. 1. Name at least three key concepts of thinking that relate to a perceptual experience. 2. Utilize meta-cognition in order to explore and articulate personal thought process and increased awareness of self and surroundings. 3. Create at least 3 visual and written works that address personal, familial, communal, and cultural themes. CEs are not offered for this program. Arnheim, R. (2004). Visual thinking. University of California Press. Borges, J. L. The book of imaginary beings. 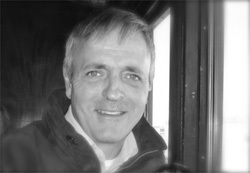 Johnston, C. (2011). 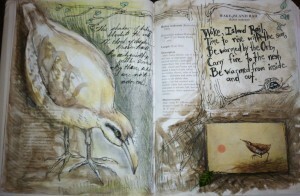 Artist’s Journal workshop: Creating your life in words and pictures. North Light Books. 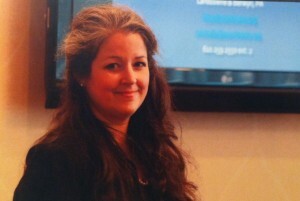 Michelle L. Dean, MA, ATR-BC, LPC, CGP is an art psychotherapist who co-founded of The Center for Psyche & the Arts, LLC (http://psychearts.org) with two locations in the Philadelphia area. In addition to her clinical practice, she is an author, supervisor, educator, and consultant. Sh e has been an Adjunct Professor at Arcadia University since 1997 and has several publications to her credit, including the children’s book, Taking Weight Issues to School and the professional text Using Art Media in Psychotherapy: Bringing the power of creativity to practice. Her work has been recognized through many distinguished awards, including the prestigious Honorary Life Member Award from Delaware Valley Art Therapy Association and the American Art Therapy Association’s Pearlie Roberson Award. Eating disorders are disturbances of relationships: Relationships to others and the environment, to oneself, to one’s emotions, and to one’s needs, desires, and imagination. Free from externally exposed famine means we are all the freer to project onto food that have nothing to do with assuaging our alimentary needs, seeking through eating to satisfy our longing for affection or sexual fulfillment, or to muffle our grief or rage (Woodman, 1980). 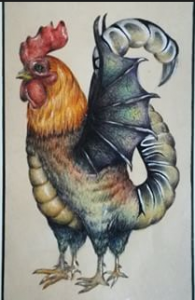 Food can also become the repository of our secret fears and fantasies of perfect health and thus becomes a symbolic function of complex, underlying psychological processes (Burch, 1973; Dean, 2013a, 2013b; Dallett, 2008; Woodman,1980,1982). Jung stated, “The underlying, primary psychic reality is so inconceivably complex that it can be grasped only by the farthest reach of intuition, and then but very dimly. That is why it needs symbols” (1975a, p. 159). Art psychotherapists are especially poised to work with art and images, symbolic function, in the therapeutic process with clients who manifest eating disordered behaviors. Thus providing an experience that creates the necessary bridge over deficits left by personal and cultural experiences, which have failed to provide adequate nurturance for development (Isis, Bishop, Tulucci, Dean & Betchel, 2012; van der Kolk, Perry & Herman, 1991). As art psychotherapists, patients, and as a culture this means, “[…] cultivating new skills and enlarging our scientific horizons so that there is room for the creativity that is a part of our everyday experience of living” (Goodman, 2007, p. 31) restoring symbolic function to a process rather than direct destruction, and potentially lethal actions, upon the body (Dean, 2008; Jackson, 1996; Ramos, 2004; Sidoli, 2000). This webinar explores the symbolic nature of eating disorders from a personal, familial, cultural, and environmental perspective utilizing a Jungian and depth psychology framework. The importance of context and symbolic function in attachment ruptures, trauma, and recovery is discussed as well as the meaningful treatment of such symptoms through a symbolic, image-based means, such as art psychotherapy. This dynamic webinar is intended for the advanced and experienced mental health clinician, however, all levels of art and clinical experience are welcome. Name at least three significant factors impacting individuals who develop eating disorders. Identify the importance of imagination and play in recovery from an eating disorder by naming at least two functions as they relate to the clinical experience. Describe the importance of symbolic function in psychological processes in both symptom formation and its treatment. Michelle L. Dean, MA, ATR-BC, LPC, CGP has 20 years expertise in treating individuals who struggle with addictions, eating disorders, relationship issues, and traumatic experiences. In addition to her clinical practice, she is an author, supervisor, educator, and consultant. She has been an Adjunct Professor at Arcadia University since 1997 and has several publications about eating disorders to her credit, including the children’s book, Taking Weight Issues to School. Her work has been recognized through many distinguished awards, including the prestigious Honorary Life Member Award from DVATA. If you were disappointed that Michelle’s portion of the 2012 Plenary Keynote at The 43rd American Art Therapy Association’s Conference in Savannah, GA was cut short due to scheduling overruns, you will want to register for this program as it is the extended version of her keynote lecture. One and a half (1.5) Continuing Education clock hours are available for this webinar. Partial credits are not available. Regular Registration for Members: $45, Non-Members: $60. You must be a current member of The Center for Psyche & the Arts, LLC to receive this price. A recorded version will be available shortly after the program for repeat viewing and distance-learning options. Consider becoming a member to receive additional discounts. After registering, you will receive a confirmation via a downloadable file and notes, which contain information about viewing the pre-recorded the webinar, which will be hosted by GoToWebinar®. You will need to have internet access and in some cases download the free application to your device for easy viewing. Also attached will be a downloadable file which contains a printable handout for the course. It includes the descriptions and objectives. It is only available upon purchase. Thank you again! See you soon. If you have difficulty signing in, please email: contact@psychearts.org. While many theories purport to describe psychological phenomena and suggest methods through which psychic suffering might be alleviated, the work of Carl Jung stands out as the only one that addresses the reality of psychological phenomena through the Psyche’s intrinsic mode of self-articulation, Image. 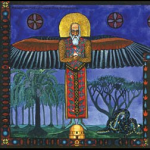 Carl Jung turned to the imagery of his own soul for guidance in trying times. From this experience he elaborated a vision of the human psyche that extended well beyond the scientific reductions of his era (and ours), capturing the living nature of the human psyche and preserving the notion of a psychology that actually remains psychological in nature. This 4-part webinar will take the participants through an orientation to the logical life of the image or, “psychological reality”, as it is self-expressed through the dynamics of Image. 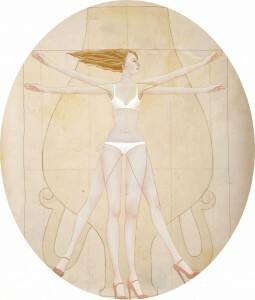 It is intended to expose the participant to a disciplined approach to Psyche through the mode of Image, as outlined by Jung and subsequent analytic practitioners. This awareness will assist clinicians in approaching clinical situations in a manner that is consistent with the intrinsic nature of psychological reality, and honors the interior world of both ourselves as clinicians and those with whom we work. Most importantly, it will orient the participant to the living reality of the Human Psyche, a reality whose logical life is always expressed through Image form. Identify three key aspects of the mode of imagery in a therapeutic setting that are useful in creating increased clarity and insight of patient dynamics. Articulate the relationship between “mythic”, or “image” consciousness as conceived of by C. G. Jung, and its application to psychotherapy. State at least 2 differences between an image-based framework and a rational construct of psychological material and the benefits of both. 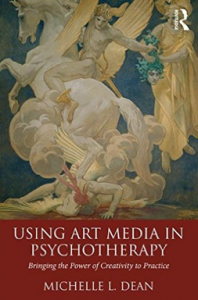 Name at least 3 significant historical contributions to the development of our understanding of psychological treatment and its relationship to imagery as a means of knowing. Mark Dean, MFA, MA, ATR-BC, LPC is an Art Therapist and Licensed Professional Counselor and Co-Founder of the Center for Psyche & the Arts, LLC. Mark is currently in the Control Stage of analytic training with the Philadelphia Jung Institute, and the Inter-Regional Society of Jungian Analysts where he has been a training candidate for the past 6 years. He has been in clinical practice since 1991 and has instructed art therapy courses for the past 20 years. TThe Center for Psyche & the Arts, LLC been approved by NBCC as an Approved Continuing Education Provider, ACEP No. 6302. Program that do not qualify for NBCC credit are clearly identified. The Center for Psyche & the Arts, LLC is solely responsible for all aspects of the programs. Six (6) Continuing Education clock hours are available for this webinar. Partial credits are not available. After registering, you will receive a confirmation via a downloadable file and notes, which contain information about joining the webinar, which will be hosted by GoToWebinar®. You will need to have internet access and in some cases, download the free application to your device for easy viewing. Also attached will be a downloadable file which contains a printable handout for the course. It includes the description, objectives as well as all of the text for the presentation slides. It is only available upon purchase. Thank you again! Get started on your independent practice! Unlock your success! Back by popular demand and now brought to you via webinar for easy access and anytime viewing. This didactic, interactive, and experiential hour-long course explores participants’ strengths as individuals, art therapists, professional mental health clinicians, and entrepreneurs in a variety of consultant and self-employment situations. The basics of how set up a business, as a consultant and/or an independent practitioner, and understand the difference of each, will be explored with discussion of the various types of business entities available and some of their implications for liability protection and taxes. The essential forms and contracts needed to get started as a business will be covered, including: Consent to treatment, release of information, HIPAA forms, as well as how to apply for an Employer Identification Number (EIN), National Provider Number (NPI), and business licenses and professional insurance(s) and what they mean to your business, your professionalism, and potential well-being as a business owner. The interactive discussions will explore each participants’ unique skills and how to utilize these skills when presenting oneself to potential employers and/or clients, and patients as well as negotiating contracts, marketing, and networking. Participants will explore the potential gains and obstacles of self-employment, as an independent contractor and in private practice. Additional discussions will identify the balance between a satisfying personal and career life and common barriers and stereotypes that prevent fulfilling careers as a self-employed person. Numerous resources available to small businesses will be provided. The experiential component of the course, which you may work on independently, will emphasise the importance of maintaining a vision for your ideal work or career situation while also acknowledging fears and other concerns, which may inadvertently sabotage efforts to fulfill one’s independent career goals (Malchiodi, 2004). 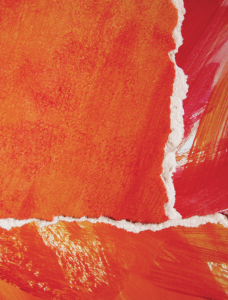 Additional resources about under-serviced niche and specialty markets will be given (Lawless & Wright, 2000; LoPresti & Zuckerman, 2004) and how they may be tailored to art therapists’ strengths. This course is geared for both the novice as well as seasoned clinicians seeking more professional freedom. It is an excellent resource for new graduates, as well as veteran clinicians wanting to make a career transition or build on an existing practice. Grodzki, L. (2000). Building Your Ideal Private Practice: How to Love What You Do and Be Highly Profitable Too. New York: W.W. Norton & Co.
Lawless L. L. & Wright, G. J. (2000). How to get referrals: The mental health professional’s guide to strategic marketing. New York: John Wiley & Sons, Inc.
LoPresti & Zuckerman (2004). Rewarding Specialties for mental health clinicians. New York: The Guilford Press. Malchodi, C. A. (2004). Art Therapy and career counseling: Strategies for art therapy seekers. 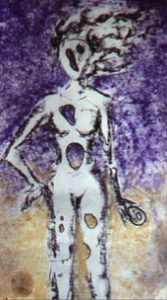 Art Therapy: Journal of the American Art Therapy Association, 21, 1, pp. 30-37. Understand at least two differences and their implications between being an independent contractor and being in a private practice (i.e., AATA & ATCB codes, and legally). Identifying at least 3 of your strengths and how they may be advantageous to you as you set up a consulting business or private practice. Name at least 3 skills to present yourself (and your skills) as a professional to a potential employer (i.e., as a consultant to a business or to clients or patients). Identify at least 2 forms you must provide to clients and/or patients before commencing work with them (as well as know who needs to sign them, especially in the case of working with a minor). Understand how to apply for business licenses, professional insurance, National Provider Identification (NPI) and an Employee Identification Number (EIN), and why each of these are important. Name at least 5 marketing and networking strategies to build referrals and business notoriety. Michelle L. Dean, MA, ATR-BC, LPC, CGP, HLM (DVATA) – is the Co-founder of The Center for Psyche & the Arts, LLC with locations in Berwyn and Lansdowne, PA and has been an Adjunct Professor at Arcadia University in Glenside, Pennsylvania since 1997. She is a supervisor for ATR candidates and clinicians wanting to further their knowledge and support in transitioning to independent practice. This lecture is based on several presentations given at local and national art therapy conferences, including as an advance-practice course. It is Ms. Dean’s intention to educate, mentor, and inspire other creative therapists. Mark Dean, MFA, MA, ATR-BC, LPC is a Jungian Analytic Training Candidate with over 20 years of clinical experience as an art psychotherapist and licensed professional counselor and educator. Mark has worked in a range of clinical mental health settings. As a professional artist, he has earned the National Endowment on the Arts Award as well as two Pennsylvania Council on the Arts Awards in Painting. He is a co-founder of The Center for Psyche & the Arts, an organization devoted to the study and application of the uses of art, imagery, and creative process in clinical work. After registering, you will receive a confirmation via a downloadable file, notes, and a link to the webcast (previously recorded program) will be provided once purchased, which is hosted by GoToWebinar®. You will need to have internet access and in some cases download the free application to your device for easy viewing. Also attached will be a downloadable file which contains a printable handout for the course. It includes the description, objectives as well as all of the text for the presentation slides and pre- and post-evaluations. It is only available upon purchase. Launch your private practice today! "I loved this workshop! The presenter had such passion for her work! I feel like I have learned new skills and will be able to apply them in my practice with families and end of life issues." "Excellent Workshop! The presenter was both a thorough and masterful teacher as well as an inspiring clinician!" "The class was very rewarding and informative." It’s not what you go through that defines you; you can’t help that. It’s what you do AFTER you’ve gone through it that really tests who you are.